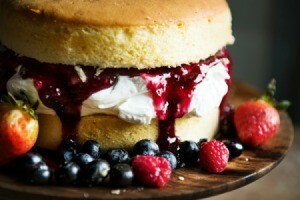 This page contains berry cake recipes. If you have a bunch of fresh berries on hand or have frozen berries just waiting to be used, here are some delicious berry cake recipes to try. During the summer, when berries are plentiful, this is a wonderful and simple recipe that highlights the fruit. It tastes like there's a bite of jam in every bite. Ready in a jiffy and unlike any other cake I've had. Leftovers are fabulous with coffee for breakfast (just eat before the kids wake up). Beat butter until creamy; add sugar gradually and beat until light and fluffy. Blend in Egg then set aside. Combine milk and vanilla, set aside. Combine dry ingredients, set to side. Beginning with milk/vanilla mixture, alternately add wet and dry ingredients to the butter mixture, until well blended. Spread batter in prepared pan, evenly spread fruit over top. Bake in a preheated oven 30-40 minutes. Cool 5 minutes and then glaze with mixed glaze ingredients. I find I usually have some glaze leftover. Source: Newspaper in St. Louis, MO , probably 18 years ago. Using fresh or frozen berries you can bake up this alternative to the traditional pineapple upside down cake. 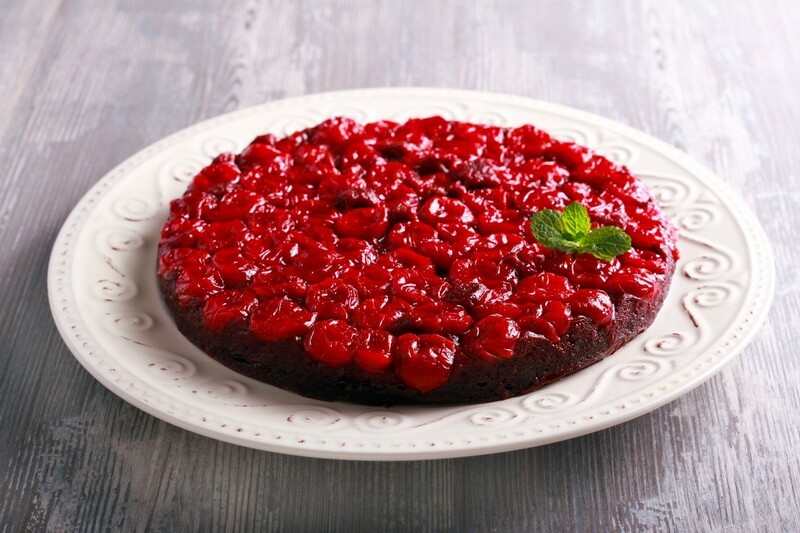 This page contains a recipe for berry upside down cake.